Achilles, Manuela, and Dana M. Elzey. Environmental Sustainability in Transatlantic Perspective : A Multidisciplinary Approach. Houndmills, Basingstoke, Hampshire: Palgrave Macmillan, 2013. Action, Inc, and Urban America (Organization). The Troubled Environment : Business Examines Social and Economic Barriers to Improving Our Cities. New York: Urban America, 1966. Adolphson, Donald L., and Eldon H. Franz. “From Fiduciary to Vivantary Responsibility.” Business & Professional Ethics Journal 24, no. 1/2 (Spring/Summer 2005): 79–102. Altieri, Miguel A. “Fatal Harvest: Old and New Dimensions of the Ecological Tragedy of Modern Agriculture.” Journal of Business Administration & Policy Analysis 30/31 (2002/2003 2002): 239–63. Anderson, Ray C., and Robin White. Business Lessons from a Radical Industrialist. New York: St. Martin’s Griffin, 2011. Andersson, Lynne, Susan E. Jackson, and Sally V. Russell. “Greening Organizational Behavior: An Introduction to the Special Issue.” Journal of Organizational Behavior 34, no. 2 (February 2013): 151–55. doi:10.1002/job.1854. Argandoña, Antonio. “On Ethical, Social and Environmental Management Systems.” Journal of Business Ethics 51, no. 1 (April 15, 2004): 41–52. Arnette, Andrew N., Barry L. Brewer, and Tyler Choal. “Design for Sustainability (DFS): The Intersection of Supply Chain and Environment.” Journal of Cleaner Production 83 (November 15, 2014): 374–90. Aronson, James, Suzanne J Milton, and J. N Blignaut. Restoring Natural Capital : Science, Business, and Practice. Washington: Island Press ; Tucson, Ariz, 2007. Baets, W. R. J. Rethinking Growth : Social Intrapreneurship for Sustainable Performance. Basingstoke England ; New York: Palgrave Macmillan, 2009. Ball, P. “Industrial Ecosystems.” Engineering & Technology (17509637) 5, no. 12 (August 7, 2010): 56–59. Barnes, Phillip E. “Environmental Update.” Business & Economic Review 43, no. 4 (July 1997): 34. ———. “Sustainability Watch.” Business & Economic Review 54, no. 4 (July 2008): 23–24. Barrow, Christopher J. Environmental Management for Sustainable Development. 2nd edition. London ; New York: Routledge, 2006. Barry, John, Brian Baxter, and Richard Dunphy. Europe, Globalization and Sustainable Development. London ; New York: Routledge, 2004. Barry, Norman P. Business Ethics. 1st Ichor Business Book edition. West Lafayette, Ind: Purdue University Press, 2000. Basurto, Xavier, and Eric Coleman. “Institutional and Ecological Interplay for Successful Self-Governance of Community-Based Fisheries.” Ecological Economics 69, no. 5 (March 15, 2010): 1094–1103. Baughn, C. Christopher, Nancy L. Bodie, and John C. McIntosh. “Corporate Social and Environmental Responsibility in Asian Countries and Other Geographical Regions.” Corporate Social Responsibility & Environmental Management 14, no. 4 (September 2007): 189–205. Beaton, Russ. Economics and Ecology : United for a Sustainable World. Boca Raton: CRC Press, 2012. Bennis, Warren G. Beyond Leadership : Balancing Economics, Ethics and Ecology. 2nd edition. Cambridge, Mass: Blackwell, 1996. Bergman, Jacqueline Z., James W. Westerman, Shawn M. Bergman, Jennifer Westerman, and Joseph P. Daly. “Narcissism, Materialism, and Environmental Ethics in Business Students.” Journal of Management Education 38, no. 4 (August 2014): 489–510. Bey, Christoph. “Changing Economies of Scale – Synergies between Implementation of an Ecological Tax Reform and Development of Industrial Ecosystems.” Business Strategy & the Environment (John Wiley & Sons, Inc) 10, no. 6 (November 2001): 383–93. Beynon, Malcolm J., and Max Munday. “Considering the Effects of Imprecision and Uncertainty in Ecological Footprint Estimation: An Approach in a Fuzzy Environment.” Ecological Economics 67, no. 3 (October 15, 2008): 373–83. Birchard, Bill. Merchants of Virtue : Herman Miller and the Making of a Sustainable Company. New York: Palgrave Macmillan, 2011. Birney, Anna, Charlotte Salazar, and Jen Morgan. “How Do We Enable Systems Change for a One Planet Future?” Journal of Corporate Citizenship, no. 30 (Summer 2008): 23–36. Blass, Vered. “The Oxford Handbook of Business and the Natural Environment.” Journal of Industrial Ecology 18, no. 5 (2014): 687–687. Bleischwitz, Raimund, and Peter Hennicke. Eco-Efficiency, Regulation, and Sustainable Business : Towards a Governance Structure for Sustainable Development. Northampton, MA: Edward Elgar, 2004. Blowfield, Mick. “Ethical Sourcing: A Contribution to Sustainability or a Diversion?” Sustainable Development 8, no. 4 (November 2000): 191–200. Boer, Tycho de. Nature, Business, and Community in North Carolina’s Green Swamp. Gainesville: University Press of Florida, 2008. Bojanic, David. “Using a Tourism Importance–performance Typology to Investigate Environmental Sustainability on a Global Level.” Journal of Sustainable Tourism 19, no. 8 (November 2011): 989–1003. Boone, Christopher G., and Michail Fragkias. Urbanization and Sustainability Linking Urban Ecology, Environmental Justice and Global Environmental Change. Dordrecht ; New York: Springer Science + Business Media, 2013. Boons, Frank. Creating Ecological Value : An Evolutionary Approach to Business Strategies and the Natural Environment. Cheltenham, UK ; Northampton, MA: Edward Elgar, 2009. Bosas, Antanas. “Social and Ecological Responsibility of Business.” Management of Organizations: Systematic Research, no. 28 (December 2003): 33–43. Bowen, Frances. After Greenwashing : Symbolic Corporate Environmentalism and Society. Cambridge ; New York: Cambridge University Press, 2014. Breakey, Noreen M., and Hugh E. Breakey. “Tourism and Aldo Leopold’s ‘cultural Harvest’: Creating Virtuous Tourists as Agents of Sustainability.” Journal of Sustainable Tourism 23, no. 1 (January 2015): 85–103. Brenkert, George G. “The Environment, the Moralist, the Corporation and Its Culture.” Business Ethics Quarterly 5, no. 4 (October 1995): 675–97. Brown, Greg, and Lesley Stone. “Cleaner Production in New Zealand: Taking Stock.” Journal of Cleaner Production 15, no. 8/9 (May 2007): 716–28. Bruijn, Theo J. N. M. de, and Arnold Tukker. Partnership and Leadership : Building Alliances for a Sustainable Future. Dordrecht: Boston, 2002. Bruno Rapidel. Ecosystem Services from Agriculture and Agroforestry Measurement and Payment. London ; Washington, DC: Earthscan, 2011. Buchholz, Rogene A. “The Ethics of Consumption Activities: A Future Paradigm?” Journal of Business Ethics 17, no. 8 (June 1998): 871–82. Busch, Timo, and Volker Hoffmann. “Ecology-Driven Real Options: An Investment Framework for Incorporating Uncertainties in the Context of the Natural Environment.” Journal of Business Ethics 90, no. 2 (December 2009): 295–310. Cairncross, Frances. Costing the Earth : The Challenge for Governments, the Opportunities for Business. Boston, Mass: Harvard Business School Press, 1992. ———. Green, Inc. : A Guide to Business and the Environment. Washington, DC ; Covelo, CA: Island Press, 1995. Callicott, J, and Robert Frodeman. Encyclopedia of Environmental Ethics and Philosophy. Farmington Hills, MI: Macmillan Reference USA/Gale Cengage Learning, 2009. Cary Krosinsky, Nick Robins, and Stephen Viederman. Evolutions in Sustainable Investing : Strategies, Funds & Thought Leadership. Hoboken, NJ: Wiley, 2012. Castro, Carlos J. “Sustainable Development.” Organization & Environment 17, no. 2 (June 2004): 195–225. Castro, Noelia Romero, and Juan Piñeiro Chousa. “An Integrated Framework for the Financial Analysis of Sustainability.” Business Strategy & the Environment (John Wiley & Sons, Inc) 15, no. 5 (October 9, 2006): 322–33. Chang, Ching-Hsun. The Influence of Corporate Environmental Ethics on Competitive Advantage: The Mediation Role of Green Innovation. Springer Science & Business Media B.V., December 15, 2011. Chen, Jian Zhong. “Material Flow and Circular Economy.” Systems Research & Behavioral Science 26, no. 2 (April 3, 2009): 269–78. Chhabra, Deepak. “Proposing a Sustainable Marketing Framework for Heritage Tourism.” Journal of Sustainable Tourism 17, no. 3 (May 2009): 303–20. Chorafas, Dimitris N. Energy, Environment, Natural Resources and Business Competitiveness : The Fragility of Interdependence. Farnham, Surrey ; Burlington, VT: Gower Pub, 2011. Clarkson, Peter M., Michael B. Overell, and Larelle Chapple. “Environmental Reporting and Its Relation to Corporate Environmental Performance.” Abacus 47, no. 1 (March 2011): 27–60. Cohen, Boyd. “Sustainable Valley Entrepreneurial Ecosystems.” Business Strategy & the Environment (John Wiley & Sons, Inc) 15, no. 1 (February 1, 2006): 1–14. Collins, Eva Marie, and Kate Kearins. “Delivering on Sustainability’s Global and Local Orientation.” Academy of Management Learning & Education 9, no. 3 (September 2010): 499–506. Constance, Sophie. “Sustainability Leadership & The Real Value of Brands–At the Core.” People & Strategy 33, no. 1 (January 2010): 13–13. Cooper, Stuart M., and David L. Owen. “Corporate Social Reporting and Stakeholder Accountability: The Missing Link.” Accounting, Organizations & Society 32, no. 7/8 (October 2007): 649–67. Cramer, Aron. Sustainable Excellence : The Future of Business in a Fast-Changing World. New York: Rodale, 2010. Crittenden, Chris. “Ecofeminism Meets Business: A Comparison of Ecofeminist, Corporate, and Free Market Ideologies.” Journal of Business Ethics 24, no. 1 (March 2000): 51–63. Crowther, David, and Nicholas Capaldi. The Ashgate Research Companion to Corporate Social Responsibility. Aldershot, England ; Burlington, VT: Ashgate, 2008. Dallmeyer, Dorinda G, and Albert F Ike. Environmental Ethics and the Global Marketplace. Athens: University of Georgia Press, 1998. Dammann, Sven, and Morten Elle. “Environmental Indicators: Establishing a Common Language for Green Building.” Building Research & Information 34, no. 4 (August 7, 2006): 387–404. Demirdjian, Z. S. “Industrial Ecology: Toward an Interdisciplinary Approach to Sustainability.” Journal of American Academy of Business, Cambridge, March 15, 2005. DesJardins, Joe. “Corporate Environmental Responsibility.” Journal of Business Ethics 17, no. 8 (June 1998): 825–38. Doering, Don S. Tomorrow’s Markets : Global Trends and Their Implications for Business. Washington, DC: World Resources Institute ; Paris, 2002. Doppelt, Bob. Leading Change toward Sustainability : A Change-Management Guide for Business, Government and Civil Society. Updated 2nd edition. Sheffield, England: Greenleaf, 2010. Dyllick, Thomas. “Ecological Marketing Strategy for Toni Yogurts in Switzerland.” Journal of Business Ethics 8, no. 8 (August 1989): 657–62. Eckelman, Matthew J., Reid J. Lifset, Ioannis Yessios, and Ken Panko. “Teaching Industrial Ecology and Environmental Management in Second Life.” Journal of Cleaner Production 19, no. 11 (July 2011): 1273–78. Edgeman, Rick, and Jacob Eskildsen. “Modeling and Assessing Sustainable Enterprise Excellence.” Business Strategy & the Environment (John Wiley & Sons, Inc) 23, no. 3 (March 2014): 173–87. Edwards, Brian. Green Buildings Pay : Design, Productivity and Ecology. Third edition. London: Routledge, 2013. Egri, Carolyn P., and David A. Ralston. “Corporate Responsibility: A Review of International Management Research from 1998 to 2007.” Journal of International Management, December 2008. Ekins, Paul, and Tancrède Voituriez. Trade, Globalization and Sustainability Impact Assessment : A Critical Look at Methods and Outcomes. London ; Sterling, VA: Earthscan, 2009. Elkington, John. Cannibals with Forks : The Triple Bottom Line of 21st Century Business. Gabriola Island, BC ; Stony Creek, CT: New Society Publishers, 1998. “Environment and Sustainability.” Manufacturing Engineer 82, no. 6 (January 12, 2003): 35–35. Epstein, Marc J. Making Sustainability Work : Best Practices in Managing and Measuring Corporate Social, Environmental, and Economic Impacts. Second Edition, Completely Revised and Updated.. San Francisco: Berrett-Koehler Publishers, Inc, 2014. Esty, Daniel C., and Sandra Lauterbach. “Making Sustainability Part of Everyone’s Job.” People & Strategy 33, no. 1 (January 2010): 12–13. Eweje, Gabriel. “Environmental Costs and Responsibilities Resulting from Oil Exploitation in Developing Countries: The Case of the Niger Delta of Nigeria.” Journal of Business Ethics 69, no. 1 (November 15, 2006): 27–56. Fayers, C. “Environment and Investment: The Role of Personal Investment Choice in Creating Sustainability.” Sustainable Development 7, no. 2 (May 1999): 64–76. Fineman, Stephen. The Business of Greening. London ; New York: Routledge, 2000. Fischbacher-Smith, Denis. Business and the Environment : Implications of the New Environmentalism. New York: St. Martin’s Press, 1993. Flannery, Brenda L., and Douglas R. May. “Environmental Ethical Decision Making in the U.s. Metal-Finishing Industry.” Academy of Management Journal 43, no. 4 (August 2000): 642–62. Font, Xavier. Integrating Sustainability into Business. Paris: Tour Operators’ Initiative for Sustainable Tourism Development, 2005. Frankel, Carl. In Earth’s Company : Business, Environment, and the Challenge of Sustainability. Gabriola Island, BC, Canada ; Stony Creek, CT: New Society Publishers, 1998. Frederick, Robert E., and W. Michael Hoffman. “Environmental Risk Problems and the Language of Ethics.” Business Ethics Quarterly 5, no. 4 (October 1995): 699–711. Funaru, M., and G. Funaru. “Protecting the Environment: Social Responsibility or Legislative Constraint?” Bulletin of the Transilvania University of Brasov. Series V: Economic Sciences 6, no. 2 (September 2013): 37–42. Gabriel, Jordi Vives, ed. Case Studies in Sustainability Management. Sheffield, UK: Greenleaf Publishing, 2014. García-Marzá, Domingo, Carmen Ferrete Sarria, and Elsa Gonz´lez Esteban. “Across-the-Border Contamination, The Andorra Power Plant (Teruel): A Business Ethics Case.” Journal of Business Ethics 22, no. 3 (November 2, 1999): 261–71. Garmestani, Ahjond S., Craig R. Allen, John D. Mittelstaedt, Craig A. Stow, and William A. Ward. “Firm Size Diversity, Functional Richness, and Resilience.” Environment & Development Economics 11, no. 4 (August 2006): 533–51. Gladwin, Thomas N., James J. Kennelly, and Tara-Shelomith Krause. “Shifting Paradigms for Sustainable Development: Implications for Management Theory and Research.” Academy of Management Review 20, no. 4 (October 1995): 874–907. Glazyrina, Irina, Vasiliy Glazyrin, and Sergey Vinnichenko. “The Polluter Pays Principle and Potential Conflicts in Society.” Ecological Economics 59, no. 3 (September 20, 2006): 324–30. Graham, John W. Corporate Environmental Policies. Lanham, Md: Scarecrow Press, 1999. Gray, Rob. “Taking a Long View on What We Now Know About Social and Environmental Accountability and Reporting.” Issues in Social & Environmental Accounting 1, no. 2 (December 2007): 169–98. Greenberg, Danna. The New Entrepreneurial Leader Developing Leaders Who Shape Social and Economic Opportunity. San Francisco, CA: Berrett-Koehler Publishers, 2011. Grizāns, Jurijs, Armands Auziņš, and Jānis Vanags. “Green Infrastructure Development – Challenge of the Modern Urban Dynamic Growth.” Zaltās Infrastruktūras Attīstība – Mūsdienu Pilsētu Dinamiskās Izaugsmes Izaicinājums. 22 (June 2012): 51–58. Groenewegen, John, Wicher Schreuders, and Kees van Paridon. Environment, Growth, and Sustainability. Association for Evolutionary Economics, September 1992. Guiltinan, Joseph. “Creative Destruction and Destructive Creations: Environmental Ethics and Planned Obsolescence.” Journal of Business Ethics 89 (May 3, 2009): 19–28. Halluite, J., J. D. Linton, J. S. Yeomans, and R. Yoogalingam. “The Challenge of Hazardous Waste Management in a Sustainable Environment: Insights from Electronic Recovery Laws.” Corporate Social Responsibility & Environmental Management 12, no. 1 (March 2005): 31–37. Hamdouch, Abdelillah, and Marc-Hubert Depret. “Policy Integration Strategy and the Development of the ‘Green Economy’: Foundations and Implementation Patterns.” Journal of Environmental Planning & Management 53, no. 4 (June 2010): 473–90. Harding, John T. “The Greening of Business.” Phi Kappa Phi Forum 91, no. 2 (Summer 2011): 26–26. Harvard Business School. Going Green. Boston, Mass: Les50ns, 2008. ———. Harvard Business Review on Business and the Environment. Boston, MA: Harvard Business School Press, 2000. Hawken, Paul. Blessed Unrest : How the Largest Movement in the World Came into Being, and Why No One Saw It Coming. New York: Viking, 2007. ———. Natural Capitalism : Creating the next Industrial Revolution. 1st edition. Boston: Little, Brown and Co, 1999. ———. The Ecology of Commerce : A Declaration of Sustainability. Revised edition. New York, NY: Harper Business, 2010. Heikkurinen, Pasi, and Sari Forsman-Hugg. “Strategic Corporate Responsibility in the Food Chain.” Corporate Social Responsibility & Environmental Management 18, no. 5 (October 9, 2011): 306–16. Helminen, Riina-Riitta. “Developing Tangible Measures for Eco-Efficiency: The Case of the Finnish and Swedish Pulp and Paper Industry.” Business Strategy & the Environment (John Wiley & Sons, Inc) 9, no. 3 (May 2000): 196–210. Henn, Rebecca L., and Andrew J. Hoffman, eds. Constructing Green : The Social Structures of Sustainability. Cambridge, Massachusetts: The MIT Press, 2013. Henriques, Irene, and Perry Sadorsky. “The Relationship Between Environmental Commitment and Managerial Perceptions of Stakeholder Importance.” Academy of Management Journal 42, no. 1 (February 1999): 87–99. Heuer, Mark. “Foundations and Capstone; Core Values and Hot Topics; Ethics-LX; SkyTech; and The Green Business Laboratory: Simulations for Sustainability Education.” Academy of Management Learning & Education 9, no. 3 (September 2010): 556–61. ———. “Sustainability Governance Across Time and Space: Connecting Environmental Stewardship in the Firm with the Global Community.” Business Strategy & the Environment (John Wiley & Sons, Inc) 21, no. 2 (February 2012): 86–97. Hoch, David, and Robert A. Giacalone. “On the Lumber Industry: Ethical Concerns as the Other Side of Profits.” Journal of Business Ethics 13, no. 5 (May 1994): 357–67. Hodgson, Geoffrey M. “Darwinian Coevolution of Organizations and the Environment.” Ecological Economics 69, no. 4 (February 15, 2010): 700–706. Hodson, Mike, and Simon Marvin, eds. After Sustainable Cities?. Abingdon, Oxon: Routledge, 2014. Hoffman, Andrew J. From Heresy to Dogma : An Institutional History of Corporate Environmentalism. Expanded edition. Stanford, Calif: Stanford Business Books, 2001. Hoffman, W. Michael. “Business and Environmental Ethics.” Business Ethics Quarterly 1, no. 2 (April 1991): 169–84. Hoffman, W, Robert Frederick, and Edward S Petry, eds. Business, Ethics, and the Environment : The Public Policy Debate. New York: Quorum Books, 1990. Holdsworth, David. “Economics and the Limits of Optimization: Steps Towards Extending Bernard Hodgson’s Moral Science.” Journal of Business Ethics 108, no. 1 (June 15, 2012): 37–48. Holliday, Scot. “An Interview With Chad Holliday, (Former) CEO & Chairman, DuPont: The Relationship Between Sustainability Education and Business.” Academy of Management Learning & Education 9, no. 3 (September 2010): 532–41. Huggins, Laura E. Environmental Entrepreneurship : Markets Meet the Environment in Unexpected Places. Cheltenham: Edward Elgar PubLtd, 2013. Humphreys, Ashlee. “How Is Sustainability Structured? The Discursive Life of Environmentalism.” Journal of Macromarketing 34, no. 3 (September 2014): 265–81. Husted, Bryan. Corporate Social Strategy : Stakeholder Engagement and Competitive Advantage. Cambridge, UK ; New York: Cambridge University Press, 2011. Idowu, Samuel O, and Céline Louche. Theory and Practice of Corporate Social Responsibility. Heidelberg ; New York: Springer, 2011. Ikerd, John E. Sustainable Capitalism : A Matter of Common Sense. Bloomfield, CT: Kumarian Press, 2005. Imran, Sophia, Khorshed Alam, and Narelle Beaumont. “Reinterpreting the Definition of Sustainable Development for a More Ecocentric Reorientation.” Sustainable Development 22, no. 2 (April 3, 2014): 134–44. Ioris, Antonio A. R. “Regional Development, Nature Production and the Techno-Bureaucratic Shortcut: The Douro River Catchment in Portugal.” European Environment: The Journal of European Environmental Policy (Wiley) 18, no. 6 (December 11, 2008): 345–58. Isenmann, Ralf. “Industrial Ecology: Shedding More Light on Its Perspective of Understanding Nature as Model.” Sustainable Development 11, no. 3 (August 2003): 143–58. Jacobsen, Noel Brings. “Exploring Mechanisms for Mobilising Industrial Sustainability Models across Different Industrial Locations.” International Journal of Environmental Technology & Management 10, no. 3 (September 2009): 442–57. Jayaraman, Vaidy, Jonathan Linton, and Robert Klassen. “A Supply Chain Management in a Sustainable Environment.” Journal of Operations Management 23, no. 1 (January 2005): 103–4. Johnston, A. R., and K. A. Lewis. “Effectiveness of Environmental Performance Measures in Ensuring Sustainable Development; the Water and Agricultural Industries Highlighted.” Sustainable Development 3, no. 3 (December 1995): 140–48. Jones, Michael, ed. Accounting for Biodiversity. Abingdon, Oxon ; New York, NY: Routledge, 2014. Jose, Anita, and Shang-Mei Lee. “Environmental Reporting of Global Corporations: A Content Analysis Based on Website Disclosures.” Journal of Business Ethics 72, no. 4 (June 2007): 307–21. Karatzoglou, Benjamin, and Ioannis Spilanis. “Sustainable Tourism in Greek Islands: The Integration of Activity-Based Environmental Management with a Destination Environmental Scorecard Based on the Adaptive Resource Management Paradigm.” Business Strategy & the Environment (John Wiley & Sons, Inc) 19, no. 1 (January 2010): 26–38. Karliner, Joshua. The Corporate Planet : Ecology and Politics in the Age of Globalization. San Francisco, CA: Sierra Club Books, 1997. Kasim, Azilah. “The Need for Business Environmental and Social Responsibility in the Tourism Industry.” International Journal of Hospitality & Tourism Administration 7, no. 1 (January 2006): 1–22. Ketola, T. “Where Is Our Common Future? Directions: ‘Second to the Right and Straight on Till Morning.’” Sustainable Development 4, no. 2 (August 1996): 84–97. Ketola, Tarja. “Five Leaps to Corporate Sustainability through a Corporate Responsibility Portfolio Matrix.” Corporate Social Responsibility & Environmental Management 17, no. 6 (December 11, 2010): 320–36. Kibert, Charles J., Jan Sendzimir, and Brad Guy. “Construction Ecology and Metabolism: Natural System Analogues for a Sustainable Built Environment.” Construction Management & Economics 18, no. 8 (December 2000): 903–16. Klemeš, Jiří Jaromír, Petar Sabev Varbanov, and Donald Huisingh. “Recent Cleaner Production Advances in Process Monitoring and Optimisation.” Journal of Cleaner Production 34 (October 2012): 1–8. Kolk, Ans, Seb Walhain, and Susanne van de Wateringen. “Environmental Reporting by the Fortune Global 250: Exploring the Influence of Nationality and Sector.” Business Strategy & the Environment (John Wiley & Sons, Inc) 10, no. 1 (January 2001): 15–28. Korhonen, Jouni. “On the Ethics of Corporate Social Responsibility — Considering the Paradigm of Industrial Metabolism.” Journal of Business Ethics 48, no. 4 (December 31, 2003): 301–15. Kotzab, Herbert, Hilde M. Munch, Brigitte de Faultrier, and Christoph Teller. “Environmental Retail Supply Chains: When Global Goliaths Become Environmental Davids.” International Journal of Retail & Distribution Management 39, no. 9 (September 2011): 658–81. Kulkarni, Subodh P. “Environmental Ethics and Information Asymmetry among Organizational Stakeholders.” Journal of Business Ethics 27, no. 3 (October 2000): 215–28. Lesourd, Jean-Baptiste. The Environment in Corporate Management : New Directions and Economic Insights. Cheltenham, UK ; Northampton, MA: Edward Elgar, 2001. Longo, Stefano B., and Joseph O. Baker. “Economy ‘versus’ Environment: The Influence of Economic Ideology and Political Identity on Perceived Threat of Eco-Catastrophe.” Sociological Quarterly 55, no. 2 (March 2014): 341–65. Lowy, David C. Corporate Environmental Governance : Benchmarks toward World-Class Systems. New York, NY: Conference Board, 2000. Lucas, Marilyn T. “Understanding Environmental Management Practices: Integrating Views from Strategic Management and Ecological Economics.” Business Strategy & the Environment (John Wiley & Sons, Inc) 19, no. 8 (December 2010): 543–56. Luchs, Michael G., Rebecca Walker Naylor, Julie R. Irwin, and Rajagopal Raghunathan. “The Sustainability Liability: Potential Negative Effects of Ethicality on Product Preference.” Journal of Marketing 74, no. 5 (September 2010): 18–31. Luken, Ralph Andrew, and Paul Hesp. Towards Sustainable Development in Industry? : Reports from Seven Developing and Transition Economies. Cheltenham, UK ; Northhampton, MA, USA: EElgar, 2003. MacKerron, Conrad B. Business in the Rain Forests : Corporations, Deforestation and Sustainability. Washington, DC: Investor Responsibility Research Center, 1993. MacLean, Richard. “Avoiding ‘chicken Little’ Syndrome.” Environmental Quality Management 18, no. 1 (Fall 2008): 101–5. Mager, David. Street Smart Sustainability the Entrepreneur’s Guide to Profitably Greening Your Organization’s DNA. 1st ed.. San Francisco, CA: Berrett-Koehler Publishers, 2010. Marcus, Alfred Allen. Cross-Sector Leadership for the Green Economy : Integrating Research and Practice on Sustainable Enterprise. New York, NY: Palgrave Macmillan, 2011. Marshall, Jeffrey, and Ellen M. Heffes. “New Group Pushes ‘Responsibility Officer.’” Financial Executive 23, no. 1 (February 1, 2007): 11–11. Marshall, Scott, Vlad Vaiman, Nancy Napier, Sully Taylor, Arno Haslberger, and Torben Andersen. “The End of a ‘Period’: Sustainability and the Questioning Attitude.” Academy of Management Learning & Education 9, no. 3 (September 2010): 477–87. Mata-Lima, Herlander. “Human-Environment-Society Interactions: Dam Projects as a Case Example.” Environmental Quality Management 18, no. 3 (Spring 2009): 71–76. McDonagh, Pierre, and Andrea Prothero. “Sustainability Marketing Research: Past, Present and Future.” Journal of Marketing Management 30, no. 11/12 (September 2014): 1186–1219. doi:10.1080/0267257X.2014.943263. McKibben, Bill. Deep Economy : The Wealth of Communities and the Durable Future. 1st edition. New York: Times Books, 2007. McKie, David. Reconfiguring Public Relations : Ecology, Equity, and Enterprise. 1st edition. London ; New York: Routledge, 2007. McManners, Peter J. 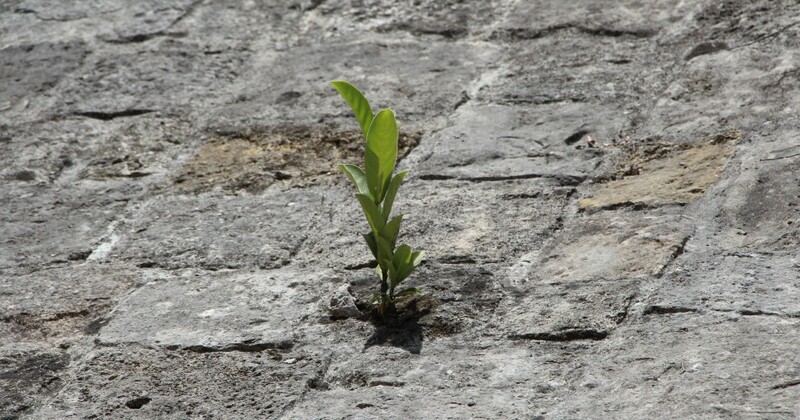 Adapt and Thrive : The Sustainable Revolution. Oxford: Susta, 2008. Meadows, Donella H. Beyond the Limits: Confronting Global Collapse, Envisioning a Sustainable Future. Post Mills, Vt: Chelsea Green Pub. Co, 1992. ———. Indicators and Information Systems for Sustainable Development: A Report to the Balaton Group, September 1998. Hartland Four Corners, VT: The Sustainability Institute, 1998. ———. The Limits to Growth: The 30-Year Update. White River Junction, Vt: Chelsea Green Pub. Co, 2004. Middleton, Neil. Rio plus Ten : Politics, Poverty and the Environment. London ; Sterling, Va: Pluto Press, 2003. Milne, Markus, and Rob Gray. “W(h)ither Ecology? The Triple Bottom Line, the Global Reporting Initiative, and Corporate Sustainability Reporting.” Journal of Business Ethics 118, no. 1 (November 2013): 13–29. Molina-Murillo, Sergio A., and Timothy M. Smith. “How Much Is Too Much? Exploring Life Cycle Assessment Information in Environmental Marketing Communications.” Business & Professional Ethics Journal 24, no. 1/2 (Spring/Summer ///Spring/Summer2005 2005): 199–223. Mullin, Richard P. “What Can Be Learned from DuPont and the Freon Ban: A Case Study.” Journal of Business Ethics 40, no. 3 (October 2, 2002): 207–18. Nattrass, Brian F. The Natural Step for Business : Wealth, Ecology and the Evolutionary Corporation. Gabriola Island, BC: New Society, 1999. Newton, Lisa H. Business Ethics and the Natural Environment. Malden, MA: Blackwell, 2005. Nicula, Virgil, and Roxana Neagu. “The Eco-Economical Principles – Essential Elements in the Decisional Process for the Transformation of the Agro-Tourist Pension into an Eco-Tourist Pension.” Studies in Business & Economics 5, no. 3 (December 2010): 215–26. Oberhofer, Peter, and Elmar Fürst. “Sustainable Development in the Transport Sector: Influencing Environmental Behaviour and Performance.” Business Strategy & the Environment (John Wiley & Sons, Inc) 22, no. 6 (September 2013): 374–89. Onkila, Tiina. Corporate Argumentation for Acceptability: Reflections of Environmental Values and Stakeholder Relations in Corporate Environmental Statements. Springer Science & Business Media B.V., June 30, 2009. Othman, Radiah, and Rashid Ameer. “Corporate Social and Environmental Reporting: Where Are We Heading? A Survey of the Literature.” International Journal of Disclosure & Governance 6, no. 4 (November 2009): 298–320. Park-Poaps, Haesun, and Kathleen Rees. “Stakeholder Forces of Socially Responsible Supply Chain Management Orientation.” Journal of Business Ethics 92, no. 2 (March 15, 2010): 305–22. Payne, Dinah M., and Cecily A. Raiborn. “Sustainable Development: The Ethics Support the Economics.” Journal of Business Ethics 32, no. 2 (July 2, 2001): 157–68. Pearce, David W. Blueprint for a Sustainable Economy. London: Earthscan, 2000. Pearson, Charles S. Multinational Corporations, Environment, and the Third World : Business Matters. Durham, NC: Duke University Press, 1987. Pfeffer, Jeffrey. “Building Sustainable Organizations: The Human Factor.” Academy of Management Perspectives 24, no. 1 (February 2010): 34–45. Phillips, Patricia Pulliam. The Green Scorecard : Measuring the Return on Investment in Sustainability Initiatives. Boston: Nicholas Brealey Pub, 2011. Pizzolatto, Allayne Barrilleaux, and II, Cecil A. Zeringue. “Facing Society’s Demands for Environmental Protection: Management in Practice.” Journal of Business Ethics 12, no. 6 (June 1993): 441–47. Pojasek, Robert B. “Implementing a Sustainability Management System.” Environmental Quality Management 22, no. 1 (September 2012): 83–90. Pradhan, Pushkar K, Bhim Prasad Subedi, Narendra Khanal, and Tribhuvana Viśvavidyālaya. Environment, Livelihood and Micro Enterprises. Kathmandu: Central Dept of Geography, Tribhuvan University, 2010. Prasad, V. Krishna, and K. V. S. Badarinath. “Assessing Forest Cover Sustainability and Deforestation Risk from Socioeconomic and Biophysical Indicators – a Case Study from Rampa Forests, South India.” Sustainable Development 13, no. 2 (April 2005): 102–14. Prince, S. Jackie, and Richard A. Denison. “Launching a New Business Ethic: The Environment as a Standard Operating Procedure.” Industrial Management 34, no. 6 (December 11, 1992): 15. Rands, Gordon P. “A Principle-Attribute Matrix for Environmentally Sustainable Management Education and Its Application.” Journal of Management Education 33, no. 3 (June 2009): 296–322. Rao, Purba, Alok Kumar Singh, Olivia la O’Castillo, Ponciano S. Intal Jr., and Ather Sajid. “A Metric for Corporate Environmental Indicators … for Small and Medium Enterprises in the Philippines.” Business Strategy & the Environment (John Wiley & Sons, Inc) 18, no. 1 (January 2009): 14–31. Redekop, Benjamin W. Leadership for Environmental Sustainability. New York: Routledge, 2010. Rees, William E. “The Ecological Crisis and Self-Delusion: Implications for the Building Sector.” Building Research & Information 37, no. 3 (June 5, 2009): 300–311. Reichart, Joel, and Patricia Hogue Werhane. Environmental Challenges to Business. Bowling Green, Ohio: Society for Business Ethics, 2000. Reinert, Kevin H., Michael A. Jayjock, and Ernest D. Weiler. “Using Risk Assessment to Facilitate and Enhance the Movement to Sustainability.” Environmental Quality Management 15, no. 3 (Spring 2006): 1–8. Reith, Charles. “Applying Environmental Management Strategies to the Agricultural Sector: Louisiana’s Model Sustainable Agricultural Complex.” Corporate Environmental Strategy 8, no. 1 (April 2001): 75–83. Revell, Andrea. “Ecological Modernisation of Small Firms in Japan.” Environmental Economics & Policy Studies 5, no. 4 (December 2002): 291–317. Revell, Andrea, and Robert Blackburn. “The Business Case for Sustainability? An Examination of Small Firms in the UK’s Construction and Restaurant Sectors.” Business Strategy & the Environment (John Wiley & Sons, Inc) 16, no. 6 (September 2007): 404–20. Richardson, Benjamin. “Keeping Ethical Investment Ethical: Regulatory Issues for Investing for Sustainability.” Journal of Business Ethics 87, no. 4 (July 15, 2009): 555–72. Robertson, Jennifer L., and Julian Barling. “Greening Organizations through Leaders’ Influence on Employees’ pro-Environmental Behaviors.” Journal of Organizational Behavior 34, no. 2 (February 2013): 176–94. Rodger, Kate, Susan A. Moore, and David Newsome. “Wildlife Tours in Australia: Characteristics, the Place of Science and Sustainable Futures.” Journal of Sustainable Tourism 15, no. 2 (March 2007): 160–79. Rogers, Michael D. Business and the Environment. Houndmills, Basingstoke, Hampshire: Macmillan Press ; New York, 1995. Rolston III, Holmes. “Environmental Protection and an Equitable International Order: Ethics After the Earth Summit.” Business Ethics Quarterly 5, no. 4 (October 1995): 735–52. Romar, Edward. “Snapshots of the Future: Darfur, Katrina, and Maple Sugar (Climate Change, the Less Well-Off and Business Ethics).” Journal of Business Ethics 85 (February 4, 2009): 121–32. Romm, Joseph J. Lean and Clean Management: How to Boost Profits and Productivity by Reducing Pollution. New York: Kodansha Amer Inc, 1994. Ruckelshaus, William Doyle. Government, Business, and the Environment : Responding to the Forces of Change. Washington, DC: U S Environmental Protection Agency, 1971. Rudawska, Edyta, and Sanda Renko. “Sustainability as the Direction for the Long-Term Success in Banking: Poland Vs. Croatia.” Folia Oeconomica Stetinensia, no. 1 (July 2012): 97–117. Rusinko, Cathy A. “Integrating Sustainability in Management and Business Education: A Matrix Approach.” Academy of Management Learning & Education 9, no. 3 (September 2010): 507–19. Sadler-Smith, Eugene. “Toward Organizational Environmental Virtuousness.” Journal of Applied Behavioral Science 49, no. 1 (March 2013): 123–48. Sadorsky, Perry. “The Effect of Urbanization on CO2 Emissions in Emerging Economies.” Energy Economics 41 (January 2014): 147–53. Safarzyńska, Karolina. “Evolutionary-Economic Policies for Sustainable Consumption.” Ecological Economics 90 (June 2013): 187–95. Sakr, D., L. Baas, S. El-Haggar, and D. Huisingh. “Critical Success and Limiting Factors for Eco-Industrial Parks: Global Trends and Egyptian Context.” Journal of Cleaner Production 19, no. 11 (July 2011): 1158–69. Sanjay Sharma, and Mark Starik. Stakeholders, the Environment and Society. Cheltenham, UK ; Northhampton, MA: Edward Elgar, 2004. Santos, Maria A.O. Dos, Göran Svensson, and Carmen Padin. “Indicators of Sustainable Business Practices: Woolworths in South Africa.” Supply Chain Management 18, no. 1 (March 2013): 104–8. Sastry, Trilochan. “Exploring the Role of Business in Society.” IIMB Management Review (Elsevier Science) 23, no. 4 (December 2011): 246–56. Schaltegger, Stefan, and Roger L. Burritt. “Corporate Sustainability Accounting: A Nightmare or a Dream Coming True?” Business Strategy & the Environment (John Wiley & Sons, Inc) 15, no. 5 (October 9, 2006): 293–95. Schaper, Michael. Making Ecopreneurs : Developing Sustainable Entrepreneurship. Aldershot, England ; Burlington, VT: Ashgate, 2005. Schepers, Donald. “Challenges to Legitimacy at the Forest Stewardship Council.” Journal of Business Ethics 92, no. 2 (March 15, 2010): 279–90. Schiefer, Gerhard W. Transparency for Sustainability in the Food Chain : Challenges and Research Needs : EFFoST Critical Reviews #2. London: Elsevier Science, 2013. Schmidheiny, Stephan. Changing Course : A Global Business Perspective on Development and the Environment. Cambridge, Mass: MIT Press, 1992. Seager, Thomas P. “The Sustainability Spectrum and the Sciences of Sustainability.” Business Strategy & the Environment (John Wiley & Sons, Inc) 17, no. 7 (November 2008): 444–53. Sell, Joachim, Thomas Koellner, Olaf Weber, Wendy Proctor, Lucio Pedroni, and Roland W. Scholz. “Ecosystem Services from Tropical Forestry Projects – The Choice of International Market Actors.” Forest Policy & Economics 9, no. 5 (January 2007): 496–515. Serageldin, Ismail, Richard Barrett, and Joan Martin-Brown. The Business of Sustainable Cities Public-Private Partnerships for Creative Technical and Institutional Solutions. Washington, DC: World Bank, 1995. Shafer, William. “Social Paradigms and Attitudes Toward Environmental Accountability.” Journal of Business Ethics 65, no. 2 (May 2006): 121–47. Sharma, Subhash. “Towards Holistic Performance Scorecard: A New Strategic Imperative.” Vilakshan: The XIMB Journal of Management 5, no. 2 (September 2008): 33–44. Shmelev, Stanislav E. Ecological Economics Sustainability in Practice. Dordrecht ; New York: Springer, 2012. Shrivastava, Paul. Greening Business : Profiting the Corporation and the Environment. Cincinnati, Ohio: Thomson Executive Press, 1996. Singh, Jang B., and Emily F. Carasco. “Business Ethics, Economic Development and Protection of the Environment in the New World Order.” Journal of Business Ethics 15, no. 3 (March 1996): 297–307. Sjöström, Emma. “Shareholder Activism for Corporate Social Responsibility: What Do We Know?” Sustainable Development 16, no. 3 (June 5, 2008): 141–54. Smith, Ian. “On Explaining Individual and Corporate Culpability in the Global Climate Change Era.” Journal of Business Ethics 112, no. 4 (January 21, 2013): 551–58. Smith, W. G. B. “Eco-Accounting: How Industrial Ecology Can Pay Double Dividendes for Business.” Journal of Business Administration & Policy Analysis 27–29 (January 1999): 337–63. Souza, Gilvan C. Sustainable Operations and Closed-Loop Supply Chains. 1st ed.. New York, NY: Business Expert Press, 2012. Spash, Clive L. “New Foundations for Ecological Economics.” Ecological Economics 77 (May 2012): 36–47. ———. “The Shallow or the Deep Ecological Economics Movement?” Ecological Economics 93 (September 2013): 351–62. Speth, James Gustave. Worlds Apart : Globalization and the Environment. Washington, DC: Island Press, 2003. Spinello, Richard A. Global Capitalism, Culture, and Ethics. New York: Routledge, Taylor & Francis Group, 2014. Starik, Mark, and Alfred A. Marcus. “Introduction to the Special Research Forum on the Management of Organizations in the Natural Environment: A Field Emerging from Multiple Paths, with Many Challenges Ahead.” Academy of Management Journal 43, no. 4 (August 2000): 539–47. Starkey, Ken, and Andrew Crane. “Toward Green Narrative: Management and the Evolutionary Epic.” Academy of Management Review 28, no. 2 (April 2003): 220–37. Steger, Ulrich. The Business of Sustainability : Building Industry Cases for Corporate Sustainability. New York: Palgrave Macmillan, 2004. Stoll, Mary. “Green Chemistry Meets Green Business: A Match Long Overdue.” Journal of Business Ethics 99 (March 2, 2011): 23–28. Stonehouse, D. Peter. “A Review of WTO and Environmental Issues.” Journal of Agricultural & Environmental Ethics 13, no. 1/2 (March 2000): 121–44. Stoner, James Arthur Finch, and Charles Wankel. Managing Climate Change Business Risks and Consequences : Leadership for Global Sustainability. 1st edition. New York: Palgrave Macmillan, 2012. Strasser, Kurt A. Myths and Realities of Business Environmentalism : Good Works, Good Business or Greenwash?. Cheltenham: Edward Elgar Pub, 2011. Streever, Bill. Green Seduction : Money, Business, and the Environment. 1st edition. Jackson: University Press of Mississippi, 2007. Stubbs, Wendy, and Chris Cocklin. “An Ecological Modernist Interpretation of Sustainability: The Case of Interface Inc.” Business Strategy & the Environment (John Wiley & Sons, Inc) 17, no. 8 (December 2008): 512–23. Suan, Tan Sen. “Enterprise Ecology.” Singapore Management Review 18, no. 2 (July 1996): 51. Sun, Zeyi, and Lin Li. “Opportunity Estimation for Real-Time Energy Control of Sustainable Manufacturing Systems.” IEEE Transactions on Automation Science & Engineering 10, no. 1 (January 2013): 38–44. Szekely, Francisco, and Heidi Strebel. “Incremental, Radical and Game-Changing: Strategic Innovation for Sustainability.” Corporate Governance: The International Journal of Effective Board Performance 13, no. 5 (October 2013): 467–81. Tait, Peter, Joanne Walker, and Colin MacDougall. “Rescuing Sustainability from Corporate Colonisation: A Discussion about a Sustaining Environment or an Ecologically Sustainable Human Society.” Australian & New Zealand Journal of Public Health 38, no. 4 (August 2014): 396–97. Taplin, James R. D., David Bent, and David Aeron-Thomas. “Developing a Sustainability Accounting Framework to Inform Strategic Business Decisions: A Case Study from the Chemicals Industry.” Business Strategy & the Environment (John Wiley & Sons, Inc) 15, no. 5 (October 9, 2006): 347–60. Taylor, Beverley M. “Sustainability and Performance Measurement: Corporate Real Estate Perspectives.” Performance Improvement 52, no. 6 (July 2013): 36–45. doi:10.1002/pfi.21356. “The Nature Conservancy’s Forest Bank: A Market-Based Tool for Protecting Our Working Forestland.” Corporate Environmental Strategy 7, no. 4 (November 2000): 371–78. Thomas, Tom E. “Are Business Students Buying It? A Theoretical Framework for Measuring Attitudes toward the Legitimacy of Environmental Sustainability.” Business Strategy & the Environment (John Wiley & Sons, Inc) 14, no. 3 (June 5, 2005): 186–97. Tilley, Fiona. “Small Firm Environmental Ethics: How Deep Do They Go?” Business Ethics: A European Review 9, no. 1 (January 2000): 31–41. Tisdell, Clem. “Economic Competition and Evolution: Are There Lessons from Ecology?” Contemporary Economic Policy 22, no. 2 (April 2004): 179–93. Tovey, Jane Patricia. “Whose Rights and Who’s Right? Valuing Ecosystem Services in Victoria, Australia.” Landscape Research 33, no. 2 (April 2008): 197–209. Ukaga, Okechukwu, Chris Maser, and Mike Reichenbach. Sustainable Development : Principles, Frameworks, and Case Studies. Boca Raton: CRC Press, 2010. United Nations Environment Programme. Life Cycle Management : A Business Guide to Sustainability. Nairobi, Kenya: United Nations Environment Programme, 2007. United Nations Environment Programme. Division of Technology, Industry. Class of 2006 : Industry Report Cards on Environment and Social Responsibility. Nairobi: United Nations Environment Programme, 2006. United Nations Environment Programme. Division of Technology, Industry, and Economics., and World Summit on Sustainable Development (2002 : Johannesburg, South Africa). Industry as a Partner for Sustainable Development : 10 Years after Rio : The UNEP Assessment. Paris: United Nations Environment Programme, Division of Technology, Industry and Economics, 2002. United States. Congress. Office of Technology Assessment. Industry, Technology, and the Environment : Competitive Challenges and Business Opportunities : Summary. Washington, DC: Congress of the US, Office of Technology Assessment, 1993. United States. Congress. Senate. Committee on Environment and Public Works. Small Business Environmental Compliance Hearing before the Committee on Environment and Public Works, United States Senate, One Hundred Third Congress, First Session, June 2, 1993–Providence, RI. Washington: USGPO; Buffalo, NY, 1993. United States. Congress. Senate. Select Committee on Small Business. Economic Impact of Acid Rain : Hearing before the Select Committee on Small Business and the Committee on Environment and Public Works, United States Senate, Ninety-Sixth Congress, Second Session, on Economic Impact of Acid Rain, September 23, 1980. Washington: USGPO, 1980. Van den Bergh, J. C. J. M. “Environment versus Growth — A Criticism of ‘degrowth’ and a Plea for ‘a-Growth.’” Ecological Economics 70, no. 5 (March 15, 2011): 881–90. Van den Bergh, J. C. J. M., and H. Verbruggen. “Spatial Sustainability, Trade and Indicators: An Evaluation of the ‘Ecological Footprint.’” Ecological Economics 29, no. 1 (April 1999): 61. Van Leeuwen, Marcus G., Walter J. V. Vermeulen, and Pieter Glasbergen. “Planning Eco-Industrial Parks: An Analysis of Dutch Planning Methods.” Business Strategy & the Environment (John Wiley & Sons, Inc) 12, no. 3 (June 5, 2003): 147–62. Van Zeijl-Rozema, Annemarie, Ron Cörvers, René Kemp, and Pim Martens. “Governance for Sustainable Development: A Framework.” Sustainable Development 16, no. 6 (December 11, 2008): 410–21. Vidyaratne, Herath. “Eia Theories and Practice:: Balancing Conservation and Development in Sri Lanka.” Journal of Environmental Assessment Policy & Management 8, no. 2 (June 2006): 205–22. Wang, Xinran, and Michael Young. “Does Collectivism Affect Environmental Ethics? A Multi-Level Study of Top Management Teams from Chemical Firms in China.” Journal of Business Ethics 122, no. 3 (July 15, 2014): 387–94. Wankel, Charles. 21st Century Management : A Reference Handbook. Los Angeles: SAGE Publications, Inc, 2008. Wapner, Paul. “Civil Society and the Emergent Green Economy.” Review of Policy Research 28, no. 5 (September 2011): 525–30. Waring, Marilyn. Counting for Nothing : What Men Value and What Women Are Worth. 2nd edition. Toronto: University of Toronto Press, 1999. Weaver, David B. The Encyclopedia of Ecotourism. Oxon, UK ; New York, NY: CABI Pub, 2001. Weber, Christopher L., Glen P. Peters, Dabo Guan, and Klaus Hubacek. “The Contribution of Chinese Exports to Climate Change.” Energy Policy 36, no. 9 (September 2008): 3572–77. Wehrmeyer, Walter, and Margaret McNeil. “Activist, Pragmatists, Technophiles and Tree-Huggers? Gender Differences in Employees’ Environmental Attitudes.” Journal of Business Ethics 28, no. 3 (December 2000): 211–22. Weidinger, Christina, Franz Fischler, and René Schmidpeter, eds. Sustainable Entrepreneurship : Business Success through Sustainability. Heidelberg: Springer, 2014. Welford, Richard. Hijacking Environmentalism : Corporate Responses to Sustainable Development. London: Earthscan Publications Ltd, 1997. Wells, Peter E. Business Models for Sustainability. Cheltenham: Edward Elgar Pub Ltd, 2013. Westra, Laura, and Patricia Hogue Werhane. The Business of Consumption Environmental Ethics and the Global Economy. Lanham, Md: Rowman & Littlefield Publishers, 1998. Wheeler, David, and John Elkington. “The End of the Corporate Environmental Report? Or the Advent of Cybernetic Sustainability Reporting and Communication.” Business Strategy & the Environment (John Wiley & Sons, Inc) 10, no. 1 (January 2001): 1–14. Whiteman, Gail, D. René de Vos, F. Stuart Chapin, Vesa Yli-Pelkonen, Jari Niemelä, and Bruce C. Forbes. “Business Strategies and the Transition to Low-Carbon Cities.” Business Strategy & the Environment (John Wiley & Sons, Inc) 20, no. 4 (May 2011): 251–65. Whitfield, Ronald, and Jeanne M. McNett. A Primer on Sustainability : In the Business Environment / Ronald Whitfield and Jeanne McNett. First edition., 2014. Williams, Katie, and Carol Dair. “A Framework of Sustainable Behaviours That Can Be Enabled through the Design of Neighbourhood-Scale Developments.” Sustainable Development 15, no. 3 (June 5, 2007): 160–73. Winn, Monika I., and Stefano Pogutz. “Business, Ecosystems, and Biodiversity: New Horizons for Management Research.” Organization & Environment 26, no. 2 (June 2013): 203–29. Winston, Andrew S. The Big Pivot : Radically Practical Strategies for a Hotter, Scarcer, and More Open World. Boston, Massachusetts: Harvard Business Review Press, 2014. Wirtenberg, Jeana. Building a Culture for Sustainability : People, Planet, and Profits in a New Green Economy. Santa Barbara, Calif: Praeger, 2014. Witkin, James B. Environmental Aspects of Real Estate and Commercial Transactions : From Brownfields to Green Buildings. 4th edition. Chicago: American Bar Association, Section of Environment, Energy, and Resources ; Section of Real Property, Trust and Estate Law, 2011. World Bank. The Changing Wealth of Nations Measuring Sustainable Development in the New Millennium. Washington, DC: World Bank, 2011. World Resources Institute. Earth Trends Environmental Information. Washington, DC: World Resources Institute, 2000. Yongvanich, Kittiya, and James Guthrie. “An Extended Performance Reporting Framework for Social and Environmental Accounting.” Business Strategy & the Environment (John Wiley & Sons, Inc) 15, no. 5 (October 9, 2006): 309–21. York, Jeffrey. “Pragmatic Sustainability: Translating Environmental Ethics into Competitive Advantage.” Journal of Business Ethics 85 (February 4, 2009): 97–109. Yujing, Wang, and Liu Huihuang. “Green Barriers from the Standpoint of Sustainable Development.” Journal of Economic Policy Reform 10, no. 3 (September 2007): 233–40. Zsolnai, Laszlo. “Environmental Ethics for Business Sustainability.” International Journal of Social Economics 38, no. 11 (November 2011): 892–99.